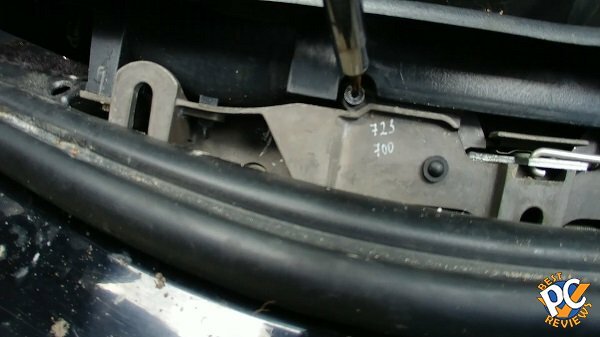 In this article, I will show you how to replace the front hood release cable in Boxster 986. I thought that the process will be harder, but it is not bad at all. Before you do the project, make sure you have size 5 hex tool, Philips screwdriver and several extensions, and brand-new release hood cable. I wouldn't recommend you to use a used cable. I bought a brand-new OEM cable for approximately $50. When you get all tools and items, it’s time to start on the project. First step is to take bunch of stuff off. 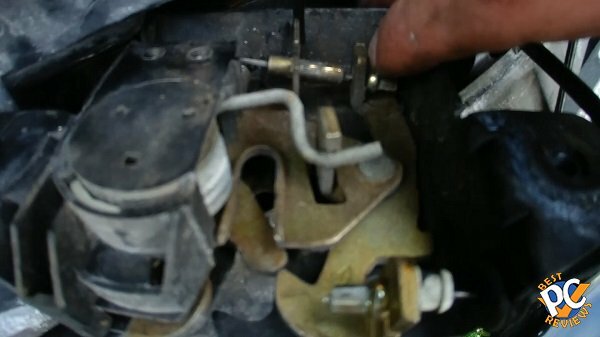 In order to put in new wire, you’ll need to have space for wire routing. 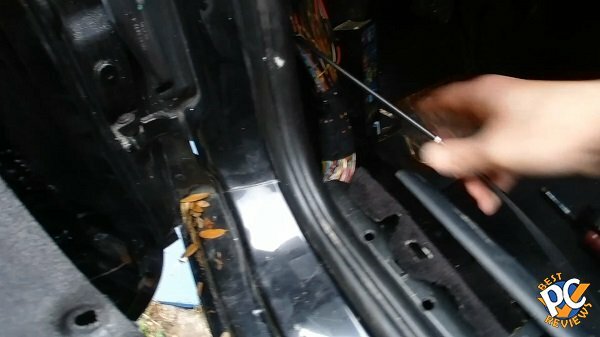 Remove the hood and trunk switch assembly. 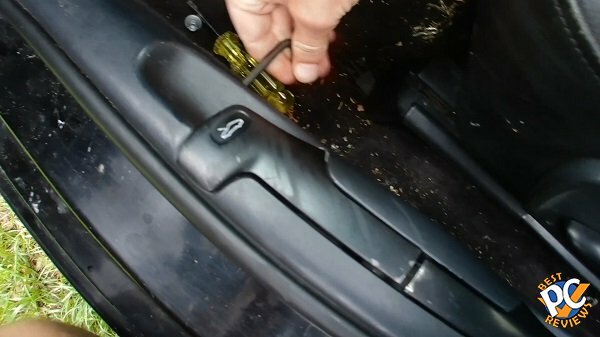 Mine was already removed when I got my vehicle, but to remove it, there are 3 plastic covers and under those covers there are 3 bolts. The bolts size is 5 hex. Do not remove the bolts, just loosen them. After that, the switch box assembly can be removed by pulling it upward. 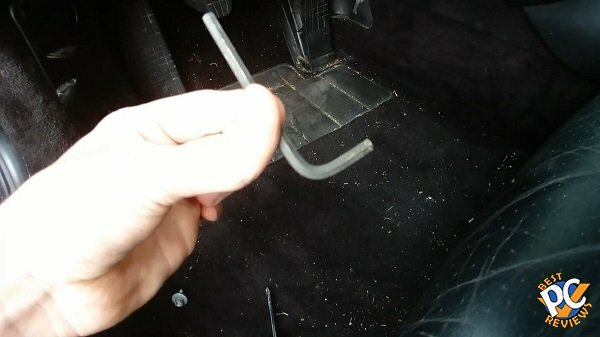 By the way, you may move the seat to front and to rear to get a better access to the bolts. 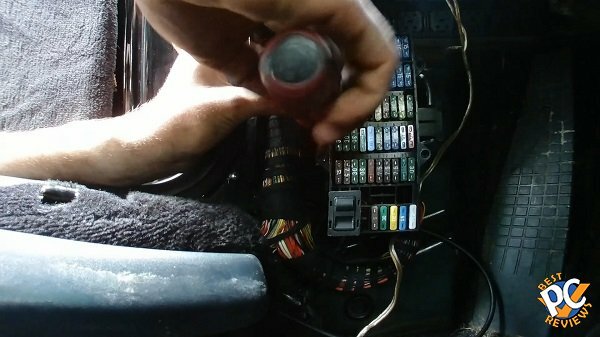 Now we’ll remove the fuse box. 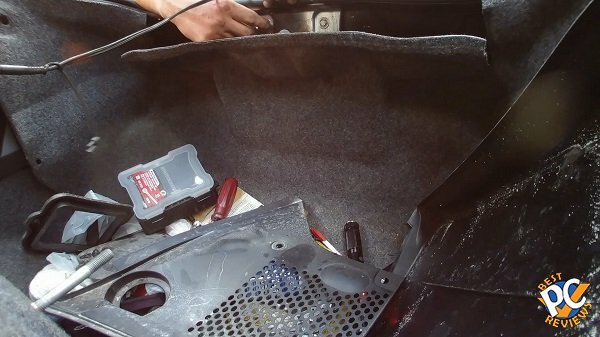 First remove the fuse box cover. There are 4 Philips screws that hold fuse box in place. Remove all 4 screws and then remove the box. You’ll see that now there is more room to route new cable, but it is still not enough. There is another Philips screw to the left of the fuse box. Remove it as well. Now you can move the fuse box around. Now that everything that needs to be removed from the front is removed, open front hood, if it’s not opened yet. 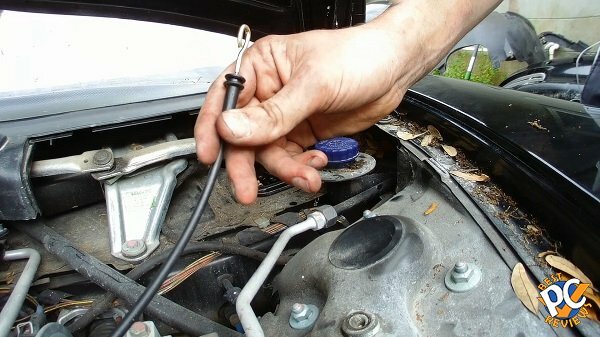 If you are unable to open it, you can access emergency release cable behind passenger side headlight or find hood release cable behind driver’s side headlight. To me it was easier to go through the second route as I did not have to remove anything. 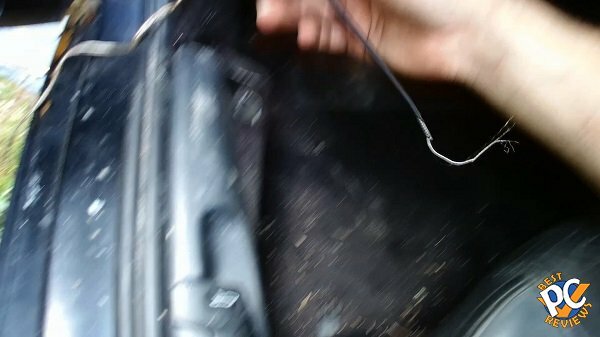 I just found the cable that goes from hood switch to the hood latch behind the driver’s wheel and just pulled it. You may need to remove driver’s side and wheel well cover, but I’d recommend to wait until you’ll know for sure whether you need it do it or not. It will be easier to route the cable with the wheel and cover removed though. Also remove driver’s side headlight. And a hood latch cover. To remove the cover, twist 4 plastic connectors. 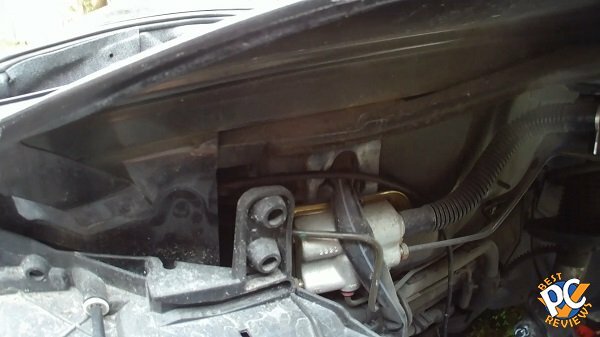 Now remove the metal rectangular box, which is located next to the driver’s side windshield wiper. It is secured by 3 Philips screws. I was able to remove one screw with a regular screwdriver, but other two screws were more complicated. One of the screws I was able to remove using a tool called skewdriver. The last one I was able to remove using a ratcheting wrench and attached a Philips bit to one end. Keep in mind that in this step, you can use windshield wipers to your advantage. For the screw that is closer to the interior, you need to have windshield wipers up. For the screw that is closer to the front fender, it is a bit easier with windshield wipers down. Now it’s time for cable replacement. Start by removing old cable. 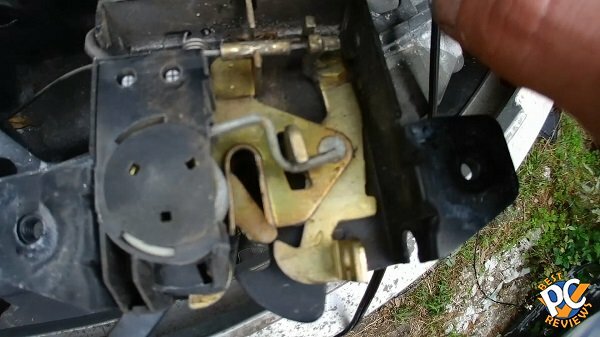 There is a good chance that you still have cable hook attached to your hood trunk switch. 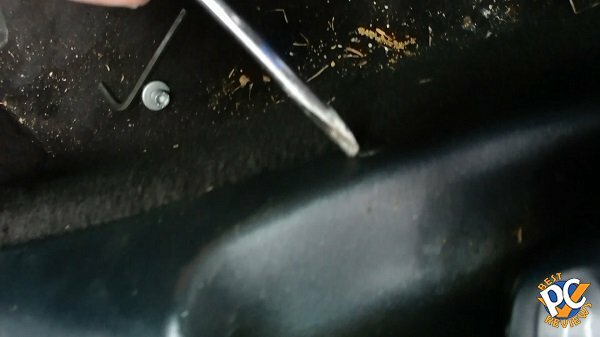 I used size 3 hex bit to remove the bolt that holds the hook in place. 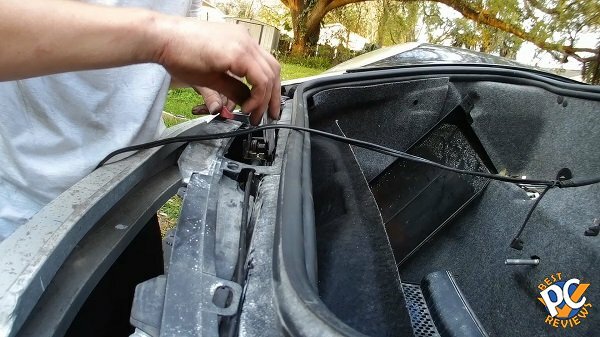 Do not remove the old cable from hood latch at this time. 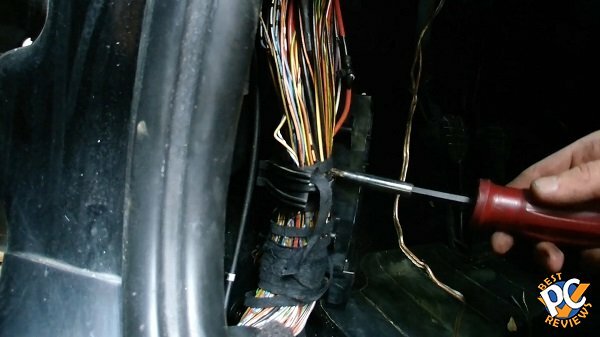 You can pull the cable front the interior to the front of the vehicle by pulling the cable from under the wheel. There are two rubber washers on the old cable. They should be by the firewall. Make sure they are removed as well. Now insert the new cable. 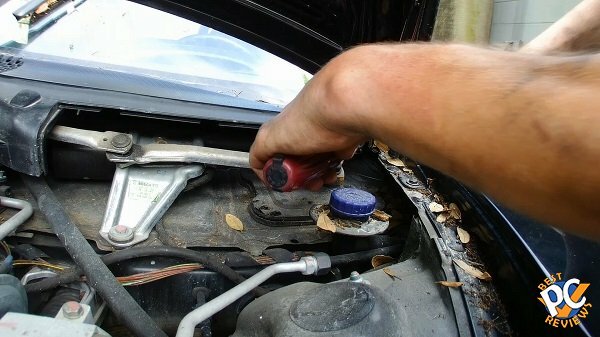 Start by inserting from the hood area. Look at the picture where exactly. 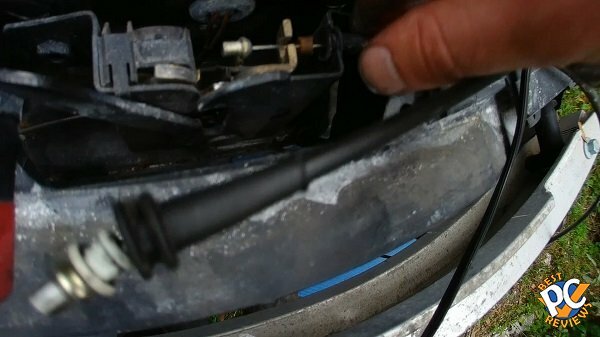 This is really important as a failure to do so will result in rubber washers not installed properly. First work on the interior side. 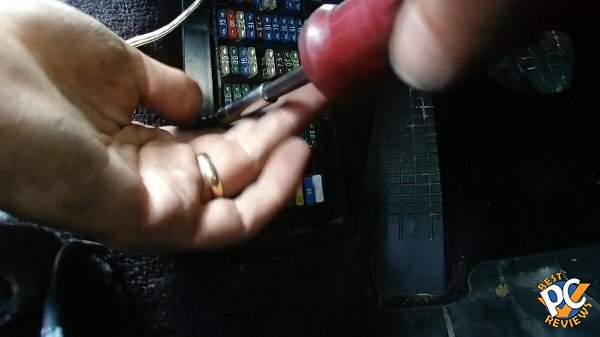 Make sure that the one you insert towards interior has the hook or loop or whatever it’s called at the end of the cable. It should be pretty easy to get the cable all the way to the bottom of the fuse box. 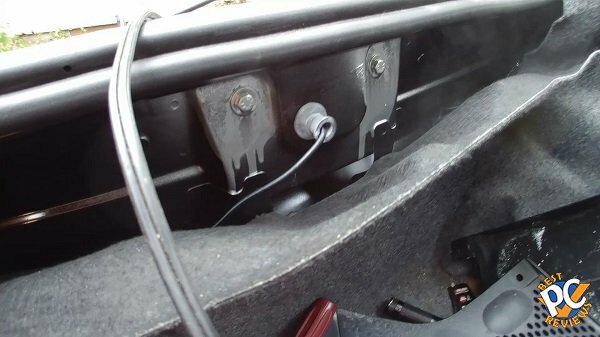 From here, you will have to push the cable to the hood trunk release switch. It might take several minutes, but shouldn't be too hard. When you see the end of the cable at the switch assembly opening, use some kind of hook to pick up the cable. Once you get the cable, secure it into the switch assembly with the size 3 hex bolt. 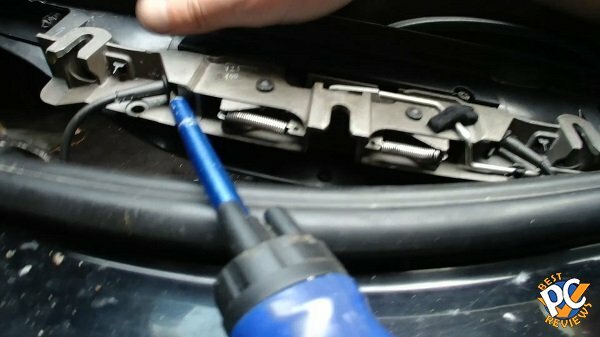 Push the cable in with a flat head screwdriver. See picture above. Now secure the fuse box. First secure the box itself with one Philips screw. Then secure fuse box with 4 Philips screws. You can also put cover back on. 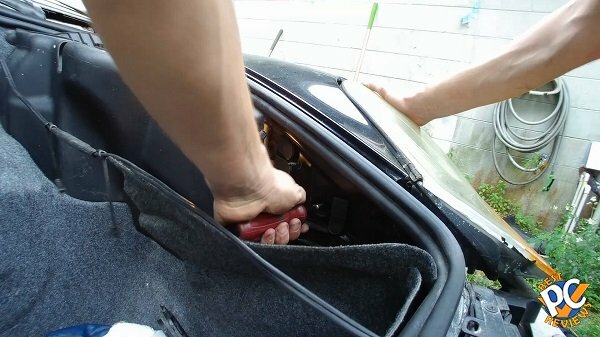 Do not secure the hood trunk switch assembly yet. I think it is better to wait until everything else is done. Next step is pull the cable all the way to the hood latch. 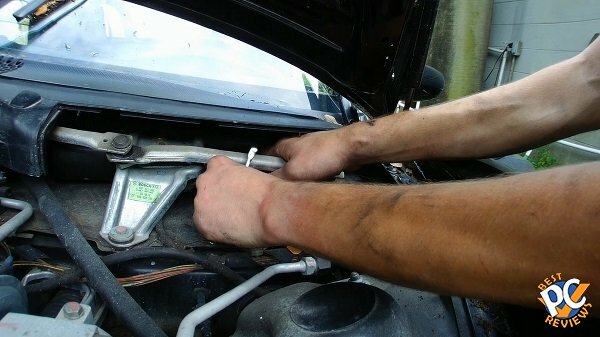 Now it’s time to remove the hood latch, but before you remove it, mark the two bolts that are inside the front trunk. I marked them with car paint. 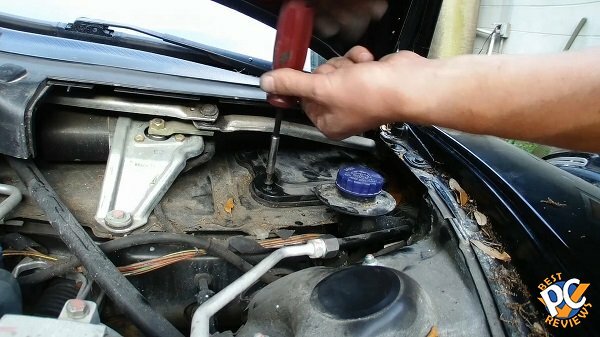 You want to make sure that the bolts will be positioned in exact same way as they are now in order for hood to shut properly. Try to remember how the old cable sits in the latch enclosure. I’ll also include picture as well. Keep in mind that the latch enclosure has two cables. One is for hood release and another one is for emergency or alternative hood release. Remember how they are positioned. 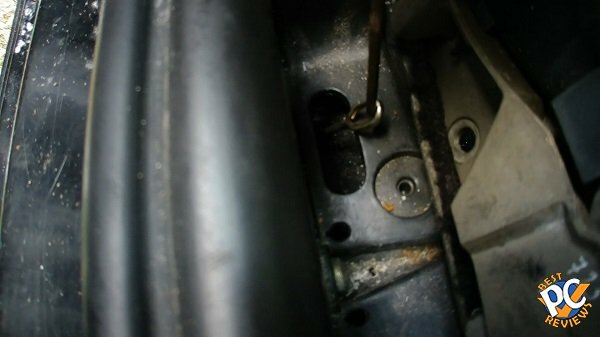 When you remove two bolts (they are 10mm), you’ll also remove a metal bracket. Now change out the cable on top of the enclosure. Put in your new cable. Now start securing the enclosure with two 10mm bolts. Make sure your two cables stay inside the enclosure. When enclosure is not fully secured, slide in the metal bracket. The metal bracket will help to prevent the cables leaving the enclosure. 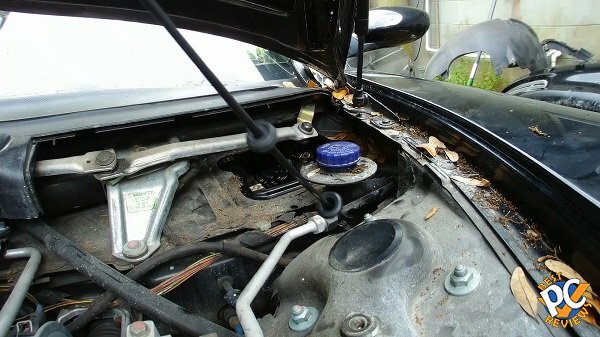 Once the enclosure secured, close the hood. Now it’s time to check if the hood switch working properly. If it is not, check all connections. If it is working properly, it is time to put everything back. You are all done. The key to do the installation successfully is making sure you have enough room to route new cable. If you have ANY questions, post here and I’ll try to help you out.